Department of Conservation (DOC) White Horse campground. Cars and tent camping. 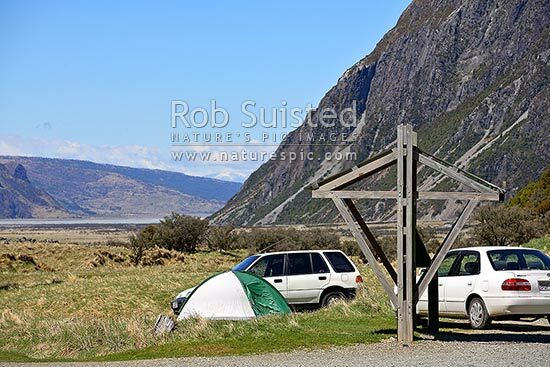 Self registering camping kiosk, Aoraki / Mount Cook National Park, MacKenzie District, Canterbury Region, New Zealand (NZ), stock photo.